American Express Membership Rewards points are 1 of the 4 major transferable points programs. Amex has a multitude of both Membership Rewards and non-Membership Rewards-earning cards that are currently available on the market. Similar to Chase Ultimate Rewards, Marriott Bonvoy, and Citi ThankYou Rewards, I recommend checking out Amex’s Membership Rewards cards to help get you to your next destination using miles and points. Today we’ll discuss the 10 best ways to use Amex points if you’ve collected 60,000 and are ready to travel! The best way to take advantage of the redemptions below is to focus on Amex cards that earn Membership Rewards, as well as cards that have high introductory bonuses. By applying for personal or business cards that align with your spending habits, you can easily collect Membership Rewards points in a hurry. If you’re ready to travel the world in style, you’ve come to the right place. From Asia to South America to Hawaii, Membership Rewards points will have you covered! Amex allows you to redeem points with 12 airline and 3 hotel partners. Many of the airline partners (like Singapore Airlines) also partner with other transferable points programs. If you’re short on Amex points for a particular redemption, consider an airline partner that has multiple transferable point options. 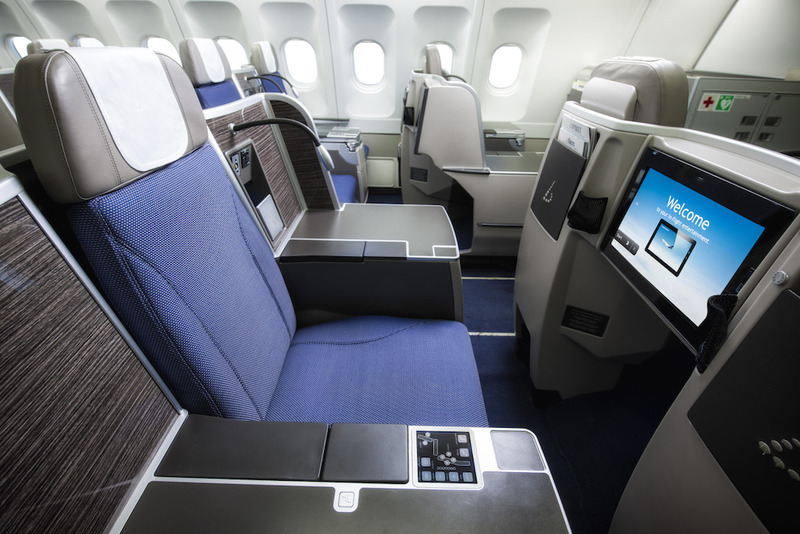 Brussels Airlines business class is yet another transatlantic option with your Etihad Miles. Etihad Guest has a number of interesting redemptions, including one-way business class from the U.S. to Brussels. Similar to Virgin Atlantic, this program has different award charts for each of its partner airlines. The Brussels award chart lists the destinations for Brussels Airlines, which are primarily in Europe. North America has 3 non-stop flights on Brussels Airlines (New York, Toronto, and Washington, D.C.). Etihad prices Brussels flights by destination, with the 3 North America stops requiring the same amount of points. While the chart is limited in terms of North American destinations, at just 44,000 miles one-way, this redemption pairs extremely well with a cheap intra-Europe flight on a low-cost carrier to get to your final destination. I recommend using United, Aeroplan, or ANA for your award search. Once you locate the flight(s) you want to book, a phone call to Etihad is required. Brussels Airlines flights can be redeemed with Etihad miles by contacting the Etihad Guest Service Center at +1 (0) 877-690-0767; they’re open 24 hours a day. 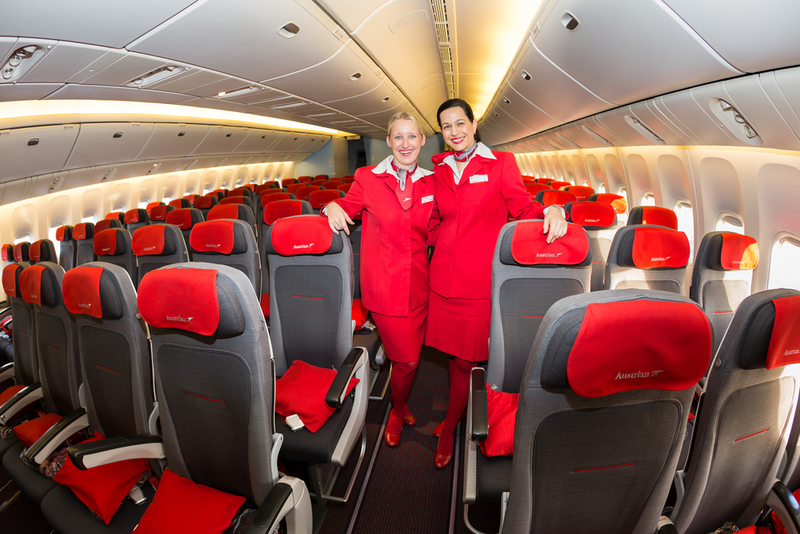 Have direct aisle access in Virgin Atlantic’s Upper Class! Image courtesy of AusBT. Singapore Airlines’ loyalty program KrisFlyer is typically known (and rightfully so!) for their premium cabin redemptions. What you may not know is that KrisFlyer also has a few other high-value redemptions, including business class from the U.S. to Europe in Virgin Atlantic’s Upper Class Cabin. Virgin Atlantic is not a member of an alliance, so Singapore Airlines has a separate chart solely for the airline. Singapore Airlines also has separate award charts for Alaska Airlines, Virgin Australia, and Star Alliance partners. The major highlight for premium cabin travelers is the low amount of miles required for Upper Class. If economy is more in line with your goals, KrisFlyer prices round-trip Virgin Atlantic economy flights at just 50,000 miles. Search for Virgin Atlantic availability on virginatlantic.com first, and then call Singapore Airlines at 213-404-0301 to book the award ticket. Need help booking? 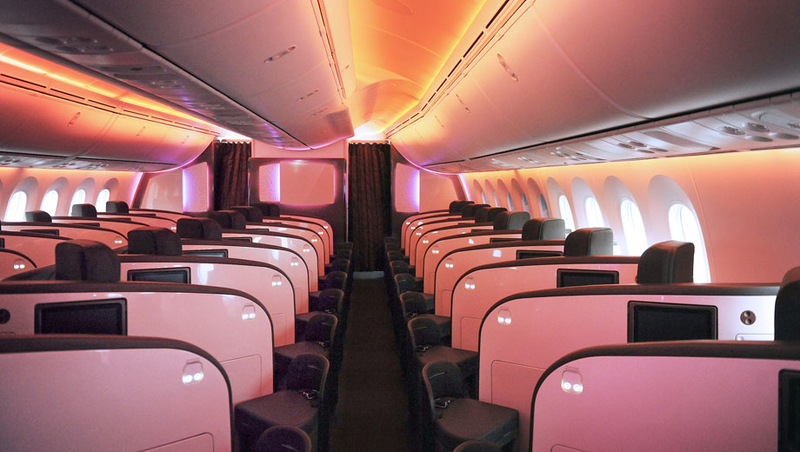 Read our in-depth guide on how to book Virgin Atlantic Upper Class. As one of our readers mentioned on a recent award search, Singapore Airlines agents may not be able to see Virgin Atlantic availability located on ExpertFlyer, Virgin Atlantic, or Delta. Keep this in mind when using miles for this redemption. As mentioned earlier, Etihad has an award chart for each of their 24 airline partners. American Airlines is one of those partners with particularly solid redemptions for U.S.-based travelers. The American Airlines award chart is broken down into 8 different regions. North America includes the U.S., Canada, Mexico, the Caribbean, the Bahamas, and Bermuda, while Asia Zone 1 includes Japan, Korea, and Mongolia. American Airlines’ chart is zone-based, meaning award flights traveling from any country in your departing zone to any country in your arriving zone will be the same. As an example: all flights from North America to Hong Kong cost 50,000 Etihad miles one-way in business class and 25,000 miles one-way in economy. 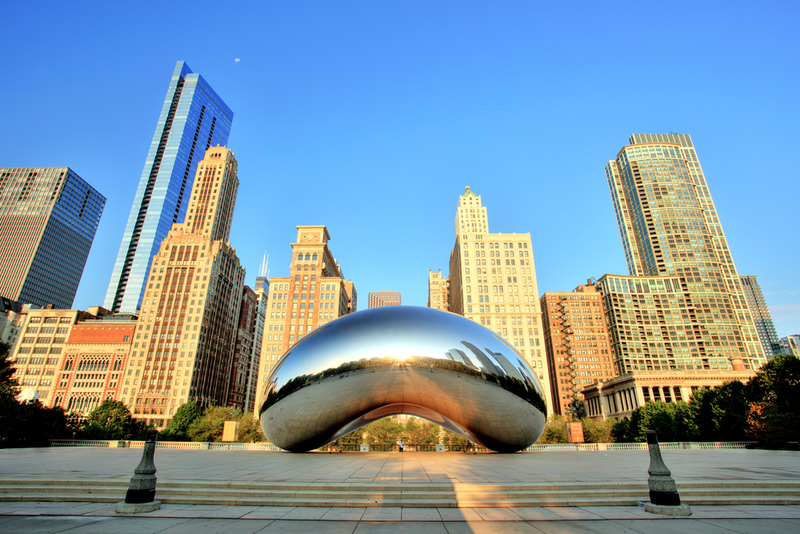 In addition to the low amount of miles required, there are a couple other highlights of an American Airlines award: one-way award travel is permitted, and a stopover is allowed as well. As with other Etihad redemptions, taxes and surcharges are required. I recommend using the ITA Flight Matrix to determine the approximate cost of the taxes, fees, and carrier-imposed surcharges prior to booking. British Airways and Qantas will provide the best search engine for this redemption. Similar to Brussels Airlines, a phone call to Etihad is required to book American Airlines award flights. You can contact the Etihad Guest Service Center 24 hours a day at +1 (0) 877-690-0767. Need help booking? 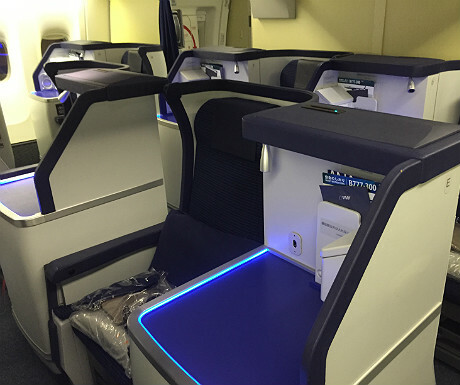 Check out our step-by-step guide on booking AA business class. What better way to fly to Morocco than in Royal Air Maroc’s business class on a flight from New York City (JFK)! Another high-value Etihad redemption to consider is Royal Air Maroc from the U.S. to Morocco. Mirroring Etihad’s other airline partners, Royal Air Maroc uses its own award chart. The Royal Air Maroc award chart is driven by distance and class of your cabin. Once again, I recommend using gcmap.com to determine the distance of your award. For U.S. to Morocco flights, use the 2001 and above portion of the award chart. 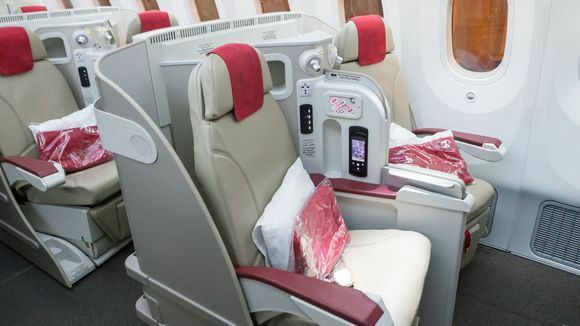 Royal Air Maroc requires a low amount of miles for both economy and business class redemptions. A couple of additional positives about this partnership include the ability to book one-way flights as well as a stopover. To find award availability and book a Royal Air Maroc flight, you will need to contact the Etihad Guest Service Center at +1 (0) 877-690-0767. It’s time for yet another Etihad redemption: American Airlines flights to Asia. Similar to American Airlines flights to Hong Kong and China, the airline also has nonstop flights to both Japan and Korea at competitive rates. As a reminder, the American Airlines chart is zoned-based, meaning any flight from the U.S. to either country will require the same number of miles. The highlight of this chart is that you are looking at a 12-13 hour flight for only 50,000 Membership Rewards points transferred directly to Etihad! You can head to both British Airways and Qantas to find award availability for American Airlines flights to Asia. Once you locate American Airlines award availability, call the Etihad Guest Service Center at +1 (0) 877-690-0767 to redeem miles for your award flight. Taxes, fees, and surcharges will need to be paid at the time of booking. Hot Tip: We’ve also dug into the best ways you can fly to Japan using points and miles! Czech Airlines business class is great way to enjoy the long-haul flight from Prague to Seoul. Image courtesy of czechairlines.com. When I first heard about this redemption, I was extremely skeptical — less than 30,000 Membership Rewards for a nearly 10-hour flight?! The Czech Airlines award chart prices are based on the city you’re flying to. Most of the cities in the chart are in Europe, making it extremely easy to miss the last city on the list: Seoul. 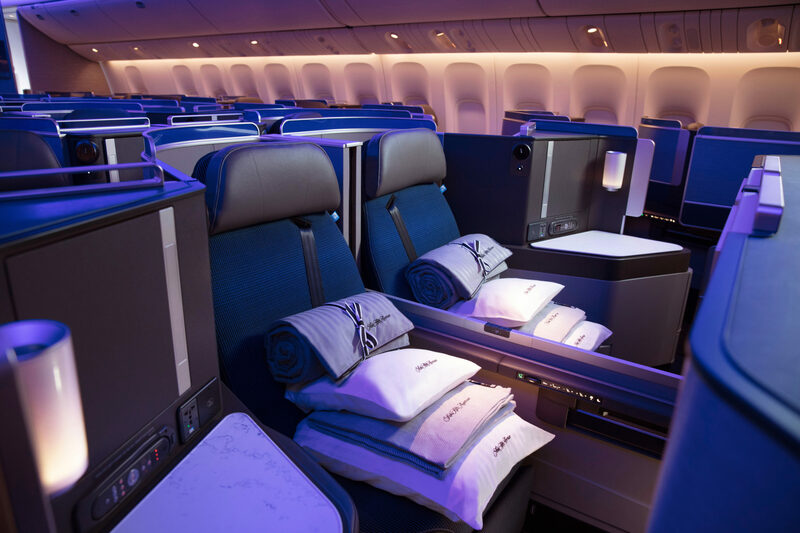 This redemption’s obvious highlight is the price compared to other long-haul flights in business class. 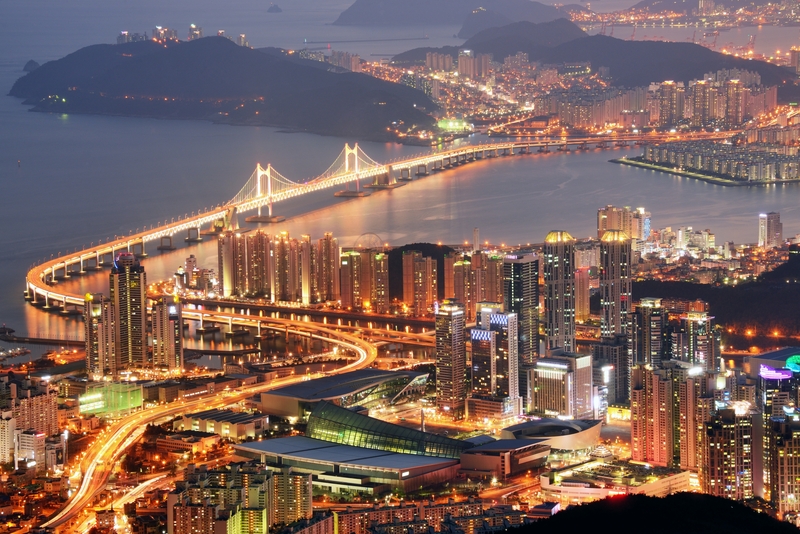 If economy is more your style, you’re only looking at 12,805 miles one-way to fly from Prague to Seoul!! Another positive within the Czech Airlines award chart is that one-way flights are allowed. Even with a low mileage requirement, the chart does have a downside to consider. The taxes, fees, and surcharges are required at the time of booking, and can be substantial. Based on a recent search, business class surcharges are ~$394, while economy surcharges are $270. Czech Airlines is a SkyTeam member, and availability can be searched on klm.com or airfrance.com. When you are ready to book your flight, call the Etihad Guest Service Center at +1 (0) 877-690-0767 to redeem your miles. Arrive relaxed even before you hit the beaches in Hawaii! Image courtesy of United. Singapore Airlines has a solid redemption for United flights to Hawaii with their KrisFlyer program. The North America region includes the U.S. and Canada, but it excludes Hawaii (it’s part of the Hawaii, Central America region). All United flights from the North America region to Hawaii require the same number of points in either business class or economy. The KrisFlyer Star Alliance award chart is zone-based with 12 zones, and prices are driven by the destination, origin, and class of service you’re flying. One highlight of the Star Alliance chart is the ability to book one-way flights. When flying United to Hawaii, the main benefit is the fact the taxes, fees, and surcharges should be low, since United doesn’t levy fuel surcharges like other airlines. Award availability for these flights can be found on united.com. Once you locate United award availability, search for that same flight on singaporeairlines.com and book the flight online. If the flight doesn’t show on Singapore Airlines, call Singapore Airlines‘ Houston, Los Angeles, New York, or San Francisco offices to book the award. Need help booking? 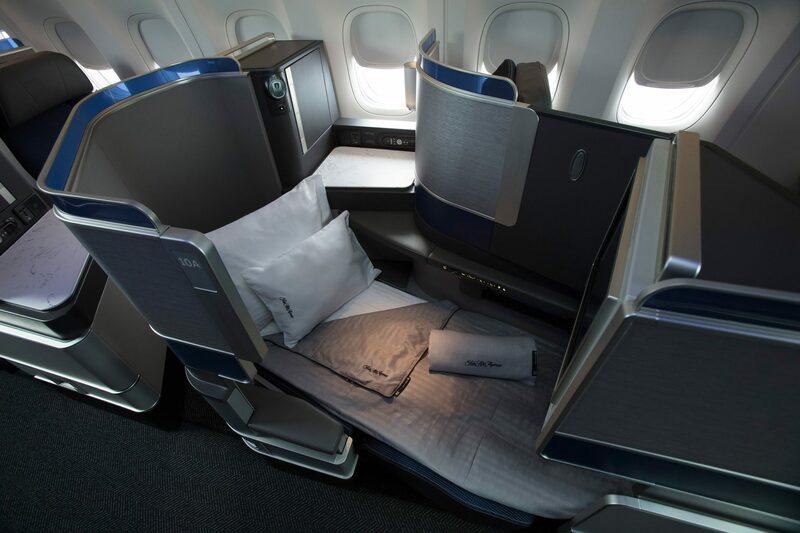 Read our step-by-step guide on how to book United business class flights. Another American Airlines redemption to consider with Etihad is an award flight to South America. The American Airlines award chart breaks South America into 2 zones, with 20,000 additional Etihad miles required between Zone 1 and Zone 2. South America Zone 2 includes Argentina, Bolivia, Brazil, Chile (excluding Easter Island), Paraguay, and Uruguay. South America Zone 1 is combined with Central America and includes countries within the northern half of the continent. For one-way flights from the U.S., the taxes and fees will be ~$30 (based on a recent search from multiple U.S. departure cities and South American arrival cities). Use the search engines at AA.com, britishairways.com, and qantas.com to find award availability, and then call the Etihad Guest Service Center to book your flight. Choose one of Amex’s airline transfer partners to begin the process. American Express Membership Rewards is a program to consider if you’re looking for great award opportunities, as the value of some of these redemptions is impressive. Earning transferable Membership Rewards points from both welcome offers and everyday spending will enable you to reach many of these destinations in style. We’re also huge fans of collecting Membership Rewards points because the transfer to most airlines is instant and at a 1:1 ratio. Happy redeeming! How do Amex points work? American Express Membership Rewards points can be used to to pay for purchases, redeemed for gift cards, cover charges as a statement credit, book travel, transfer to partners (recommended), or shop for experiences/products. When do my Amex points expire? Membership Rewards points do not expire as long as you have an Amex Membership Rewards credit card open. How many Amex points do I need for a flight? The number of Membership Rewards points will vary depending on the route, cabin, and transfer partner you are using. Are Amex points worth it? No question! The ability to fly in a premium cabin to many destinations around the world makes Membership Rewards points extremely valuable. Yes. Membership Rewards points can be transferred to 12 airlines (see above) and 3 hotels. The hotel transfer partners include Choice Hotels, Hilton, and Marriott. Thank you for writing up all the useful Etihad Guest redemptions using the MR points. You gave me several travel ideas for the coming year. So glad we could give you some fun redemption ideas – thank you for letting us know! KrisFlyer almost never sees Virgin Atlantic availability, so I would certainly not call it a useful transfer of member rewards if that is your goal. Their availability does *not* match delta.com or virginatlantic.com. You are correct dijbouti in that Virgin Atlantic availability shown on Singapore Airlines site is limited relative to the Virgin Atlantic and Delta search engines. We recommend searching for Virgin Atlantic availability on Virgin Atlantic or Delta, and then calling Singapore Airlines to book your award ticket. I wish that worked, but it doesn’t. Multiple days, some with multiple seats on both EF, VS and DL sites. I called and spoke to about a dozen different agents, tried escalations, and everything. They simply cannot see them. One agent one time found a seat way out in the future (December) and added it to my booking to prove to me that it’s not an IT glitch. They apparently just have incredibly restricted access. No, you can’t book it. I’ve tried with a dozen agents for multiple travel dates, they never see Virgin Atlantic availability. This is news to us then. The Virgin Atlantic award chart clearly states flights can be booked with Singapore Airlines miles. If you are having difficulty locating availability, consider using Expert Flyer to search for award flights. We really appreciate you letting us know this info. I was unaware that Singapore agents do not see Virgin Atlantic award space even when the award space is shown on ExpertFlyer and Delta. I’ll update the article to reflect this. Thank you again!